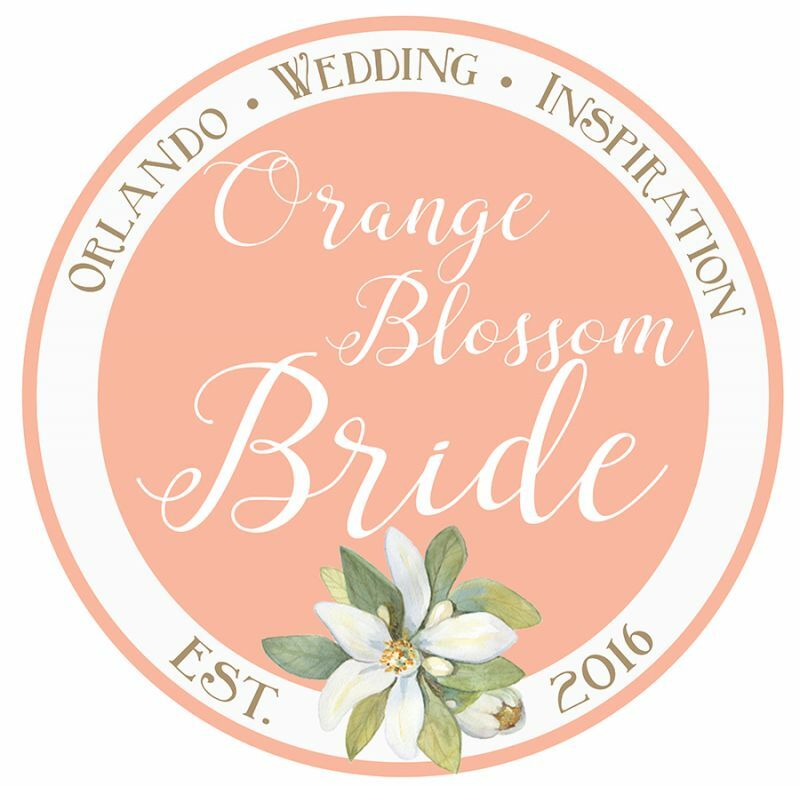 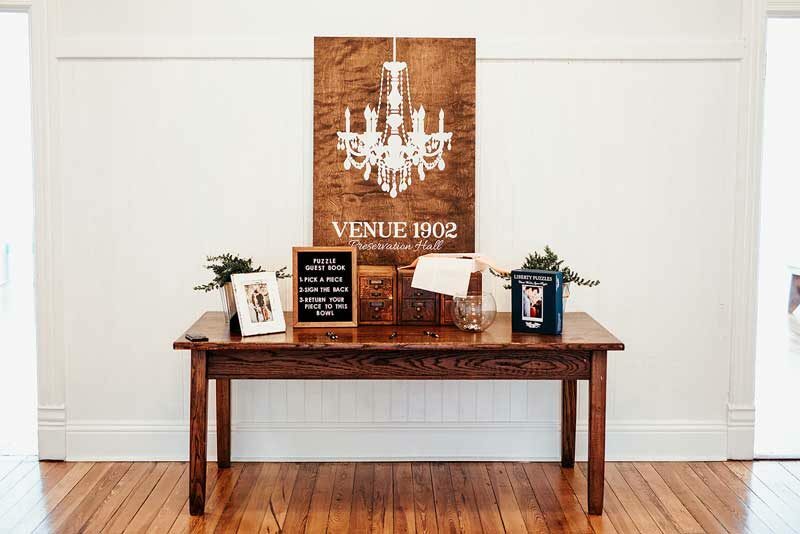 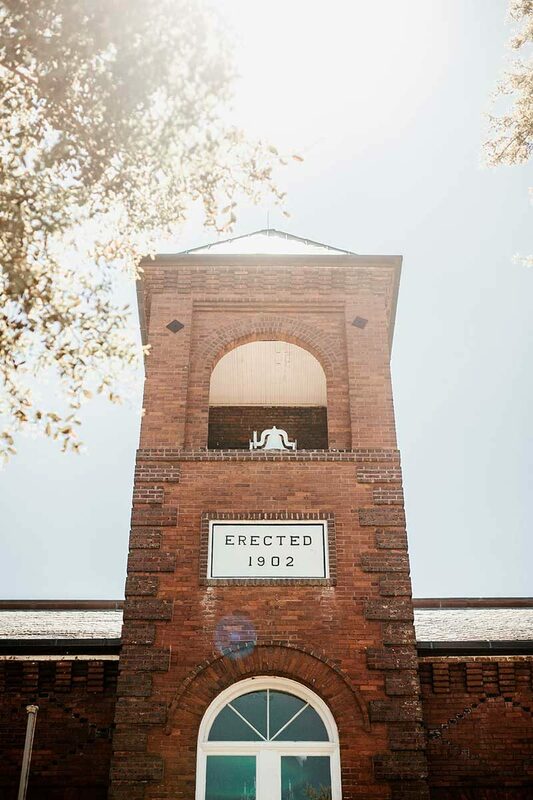 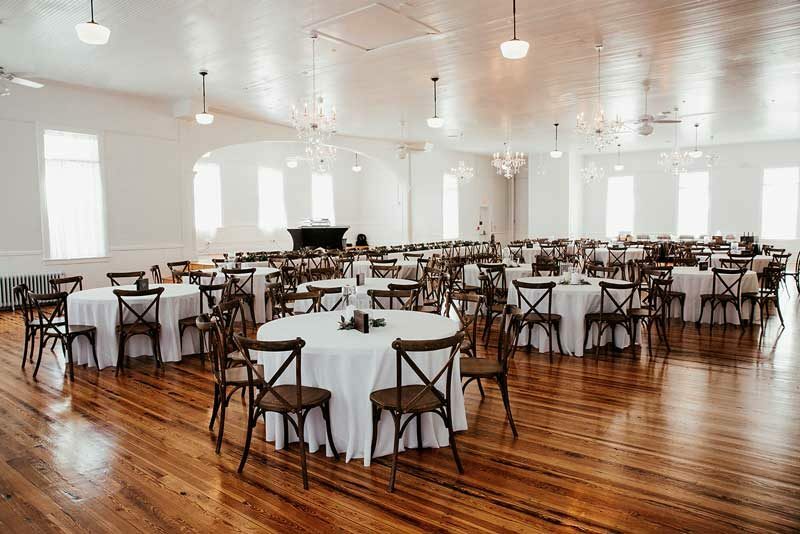 Venue 1902 is a unique space just minutes away from downtown Sanford. 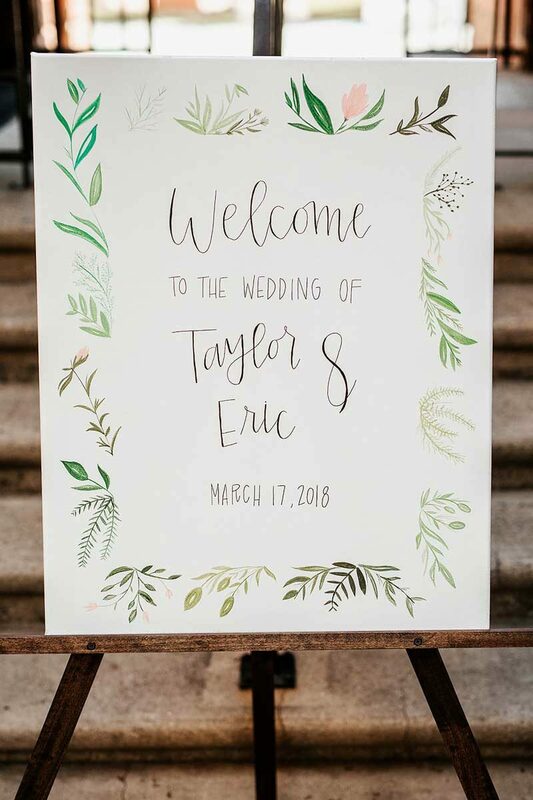 It's also where Taylor and Eric started the next chapter of their lives as husband and wife! 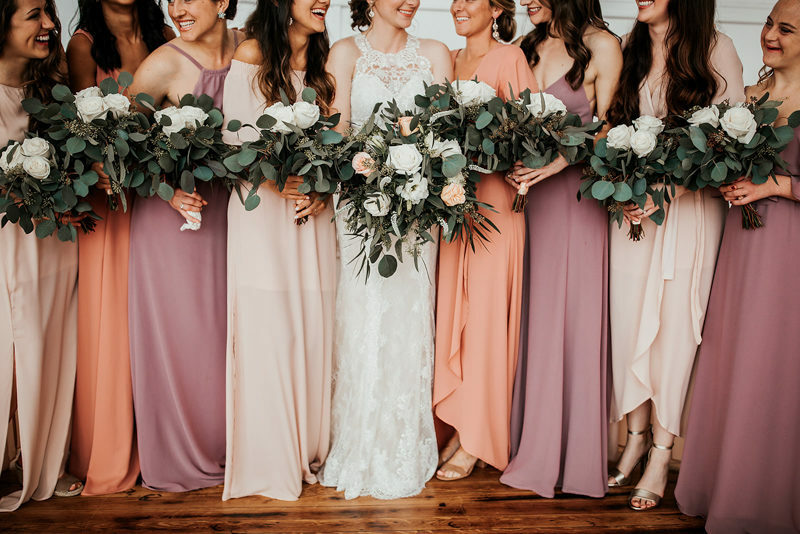 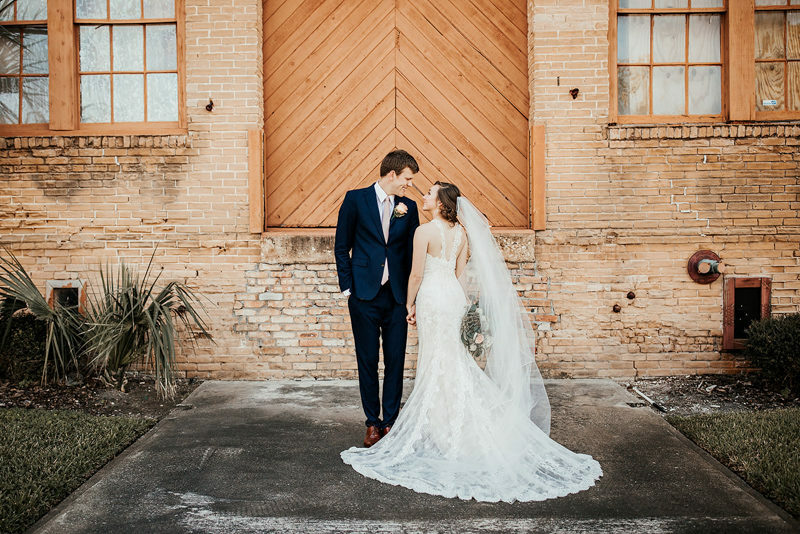 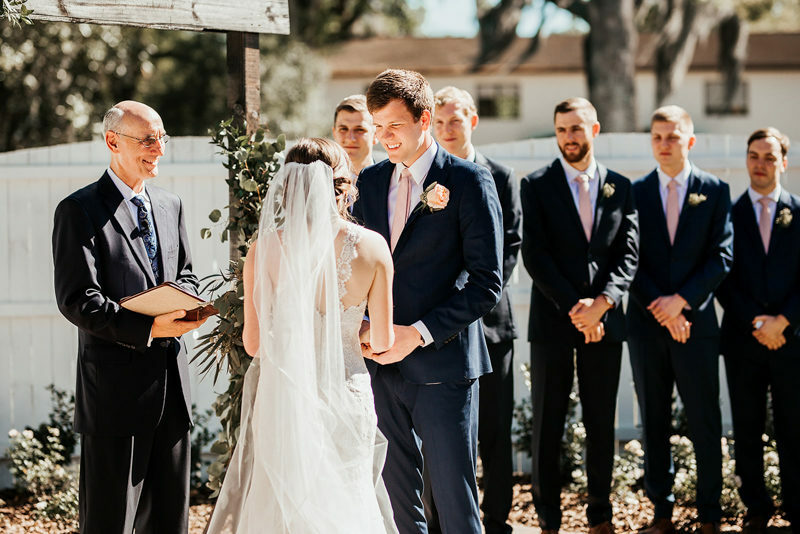 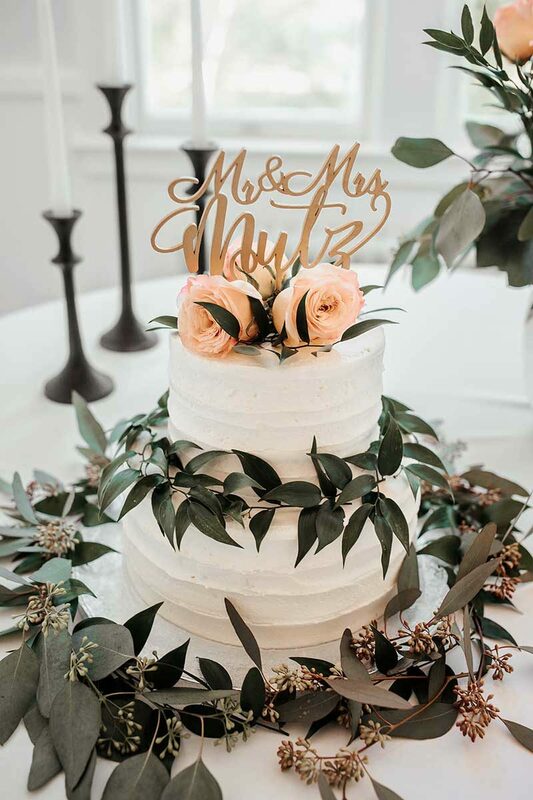 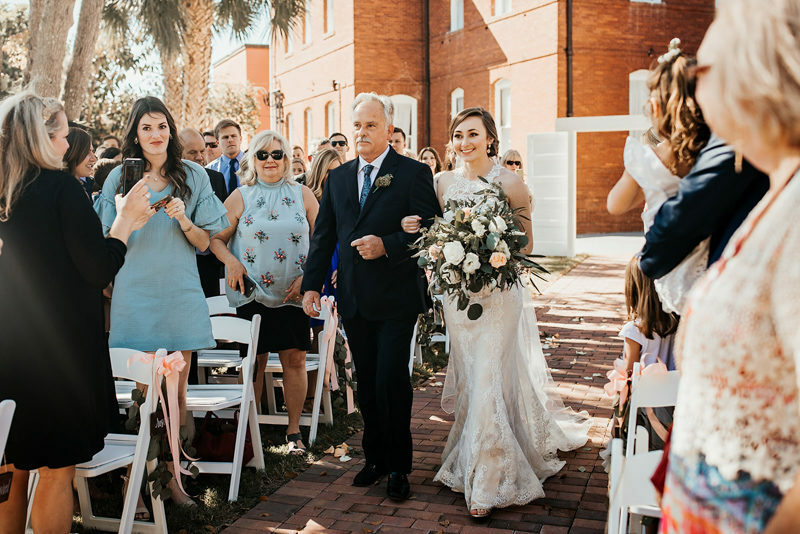 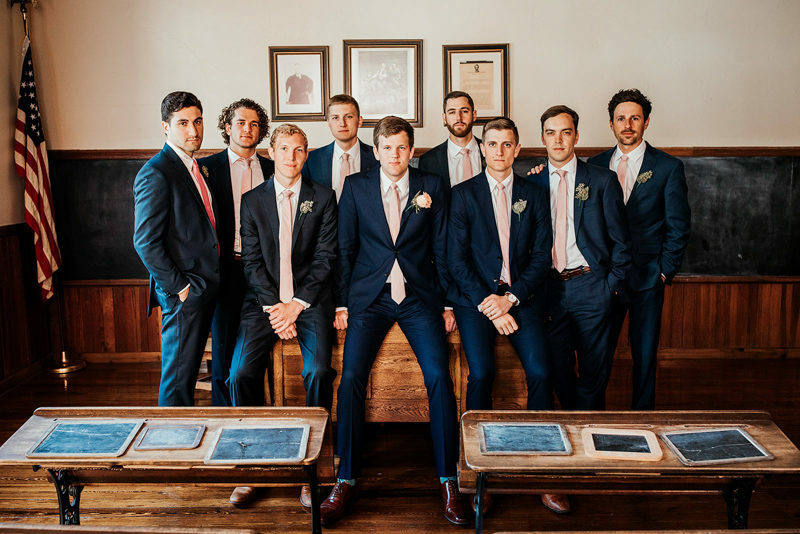 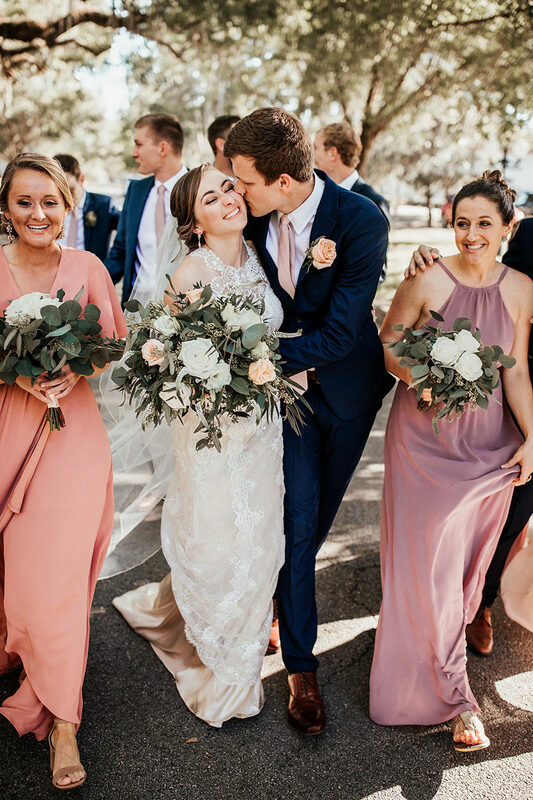 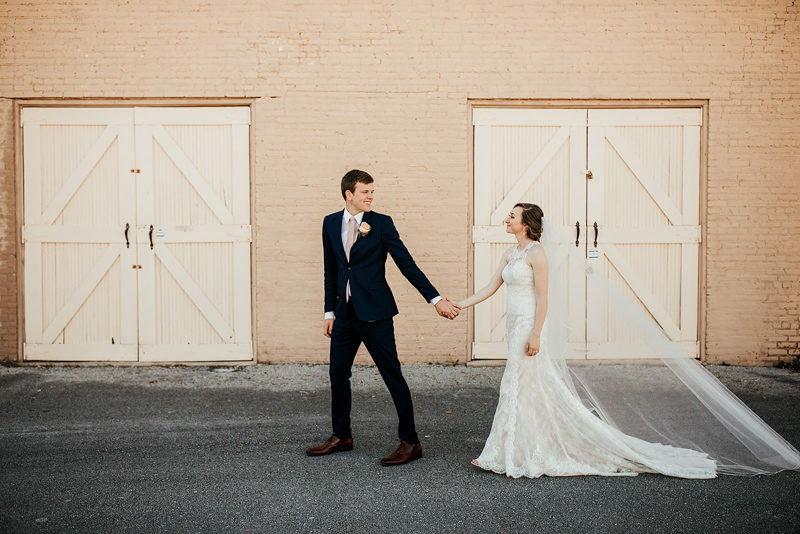 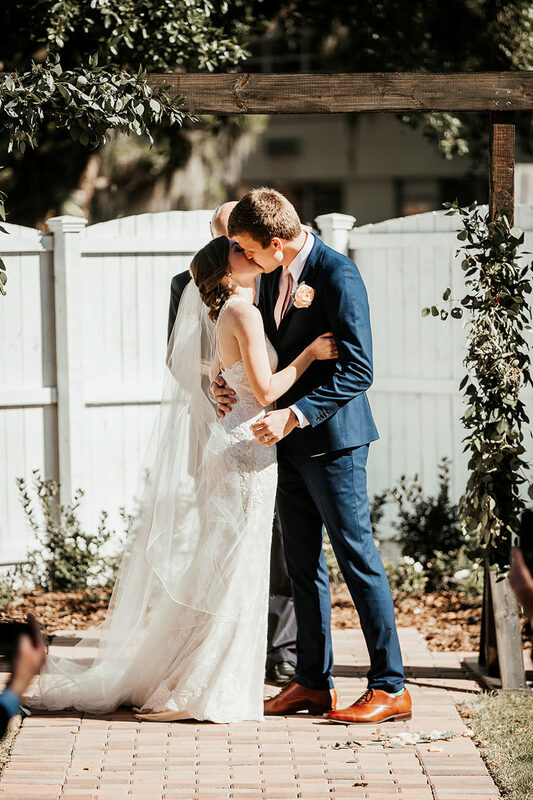 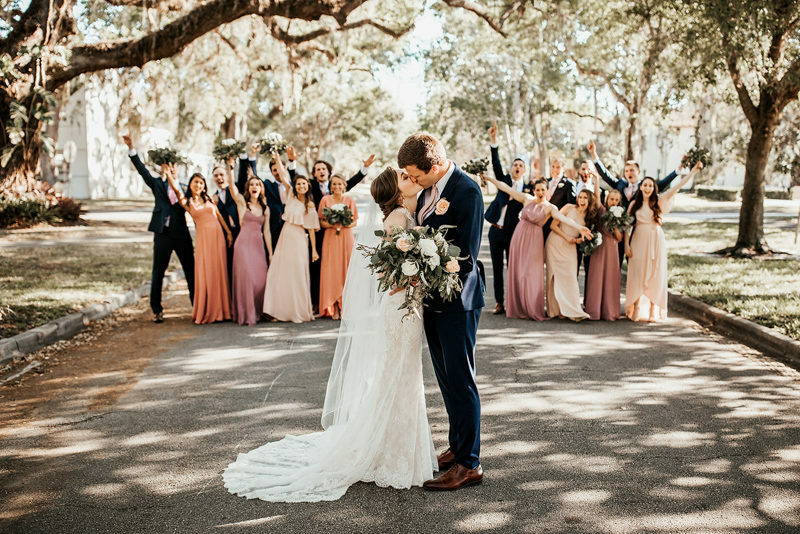 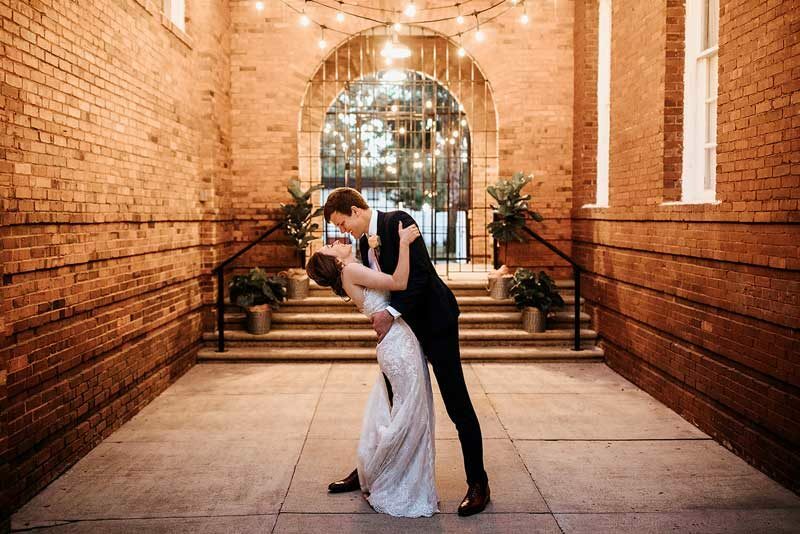 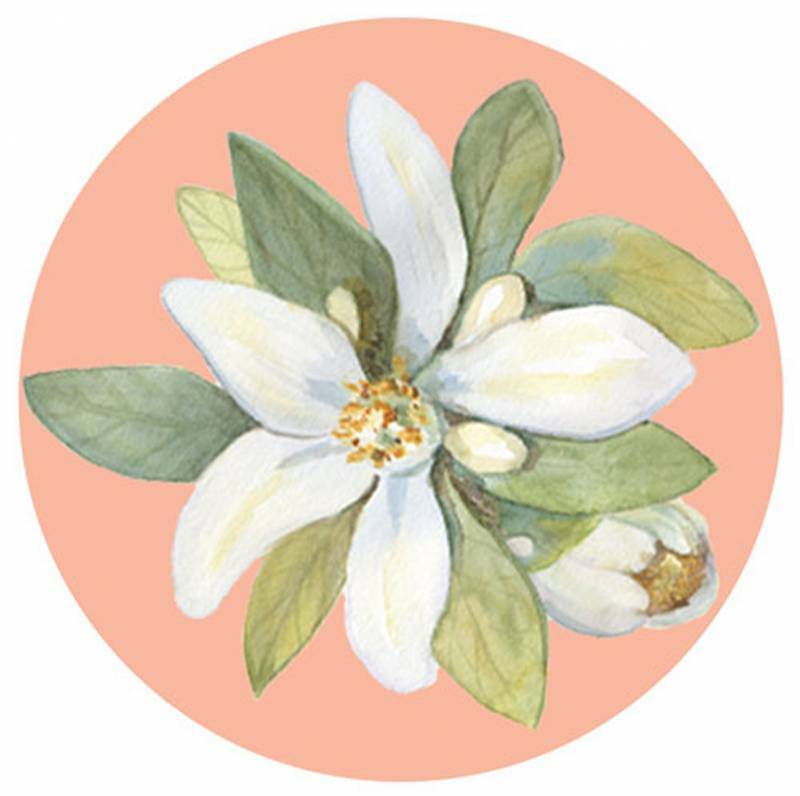 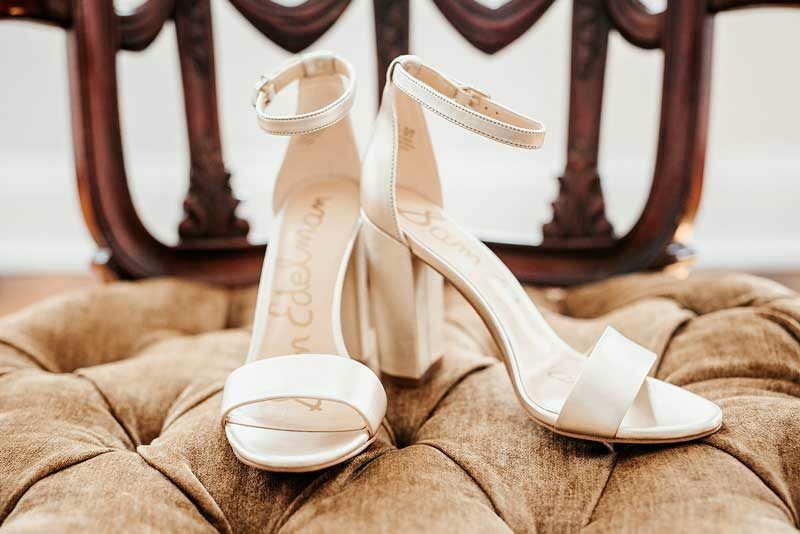 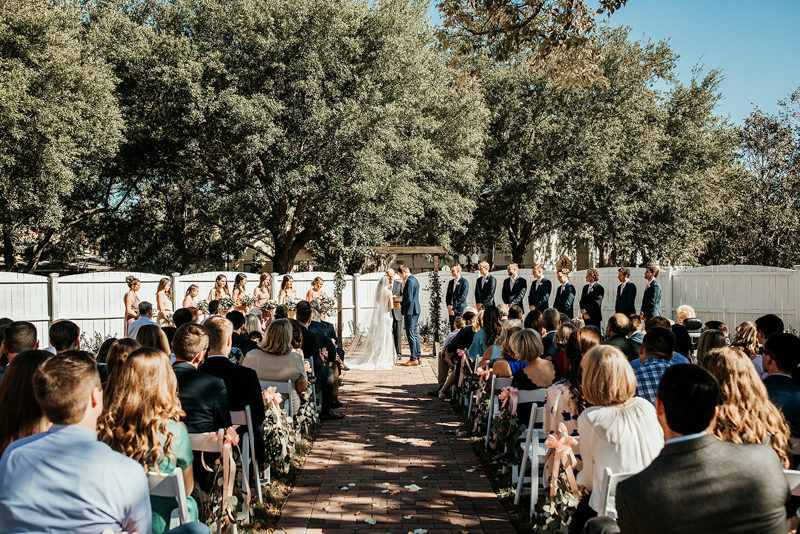 Their mix of neutral and warm spring colors shined against the brick walls and wooden floors of the venue. 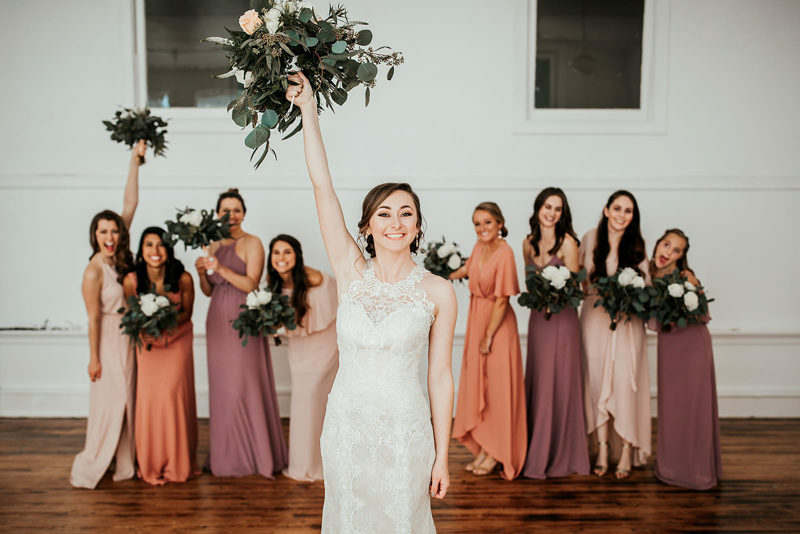 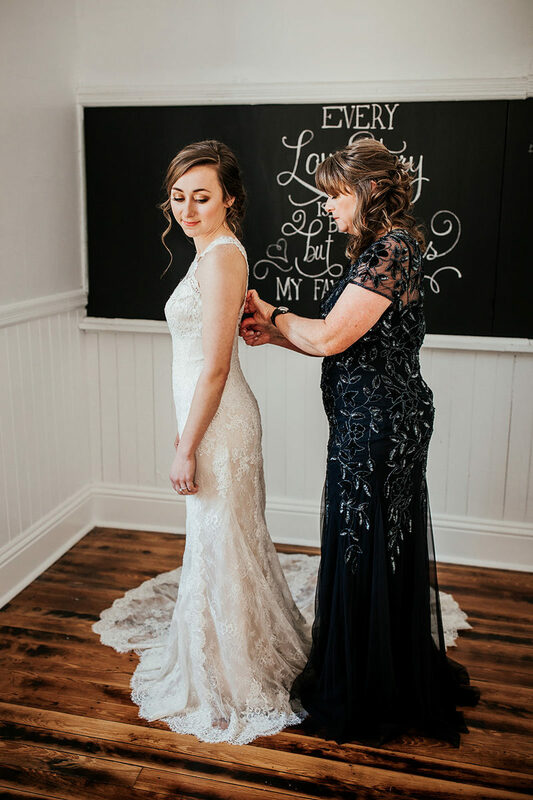 Taylor looked beautiful in an delicate high-necked gown with a lace overlay, and her giant bouquet explode with roses and greenery. 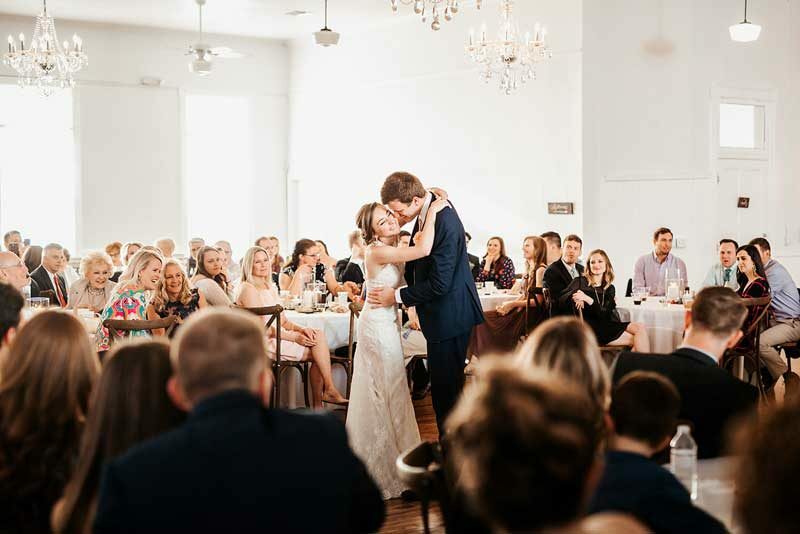 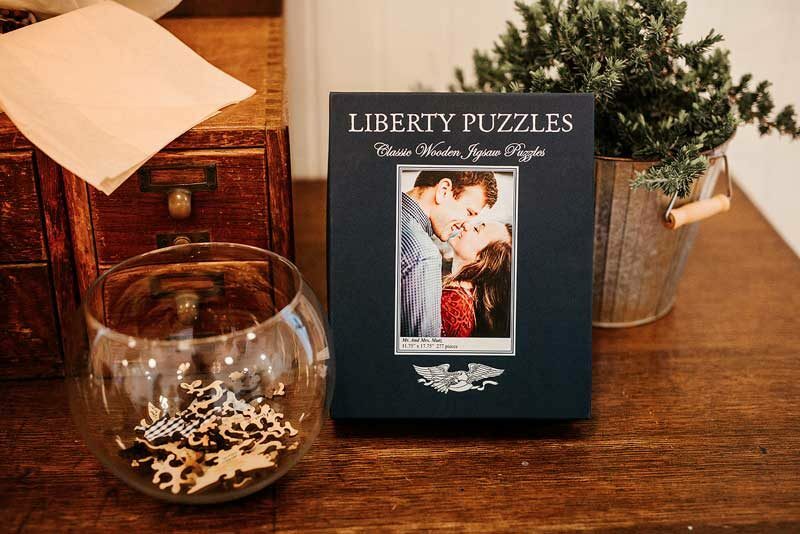 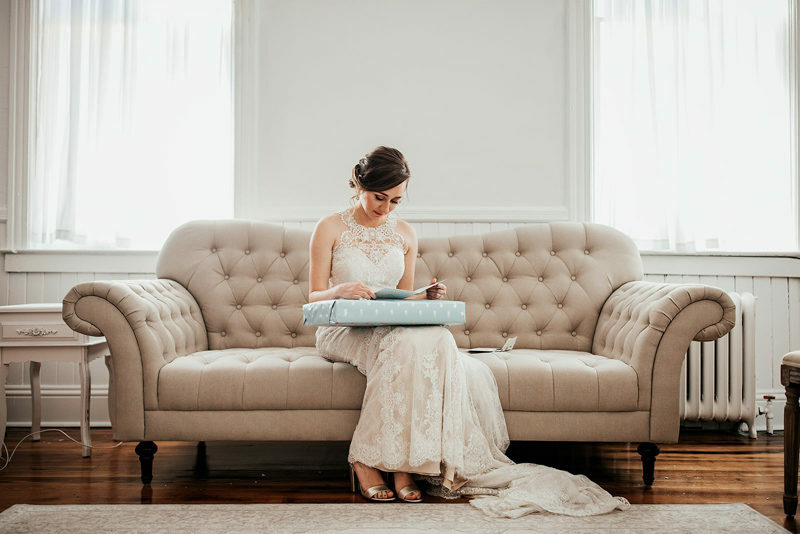 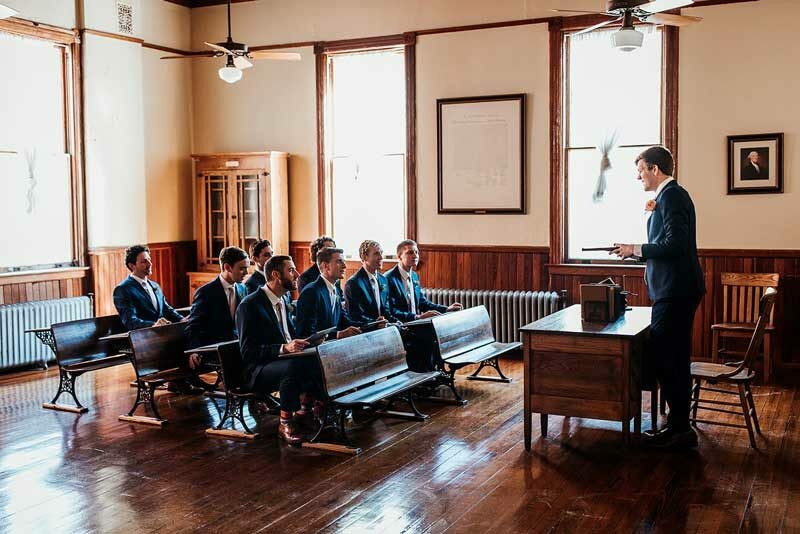 Taylor and Eric's day was filled with precious moments like their gift exchange and tons of fun bridal party photos! 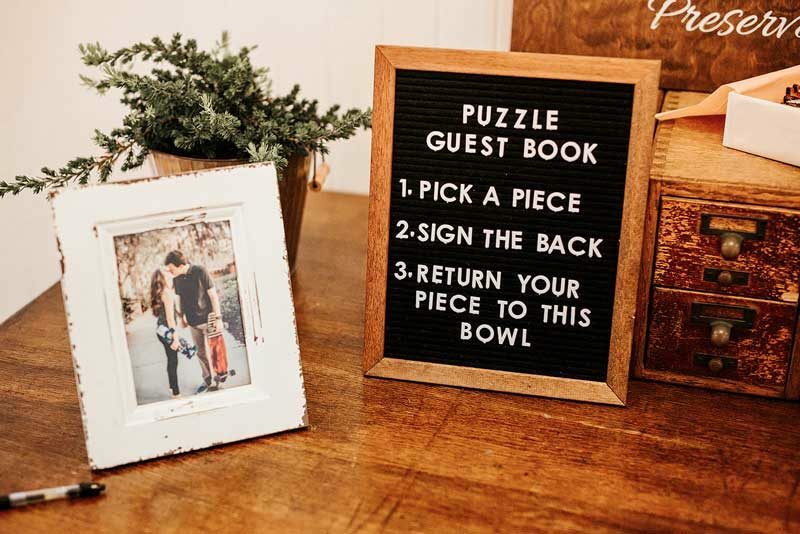 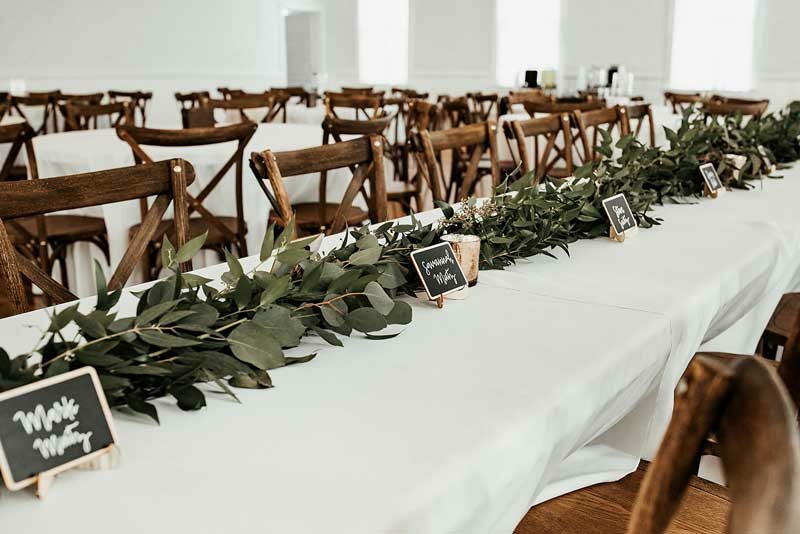 A puzzle piece guest book welcomed friends and family into the reception, which was decorated with wooden chairs and floral garlands. 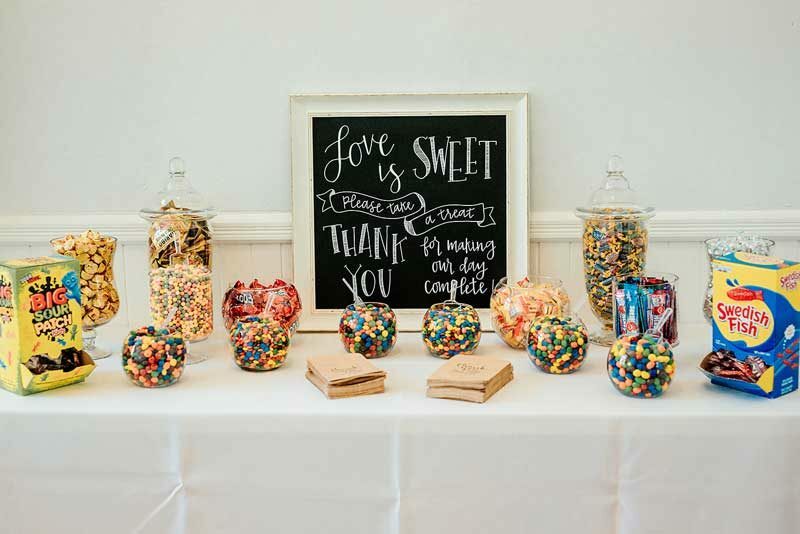 For dessert, a candy bar full of classic sweet treats was a fun addition to a yummy-looking cake! 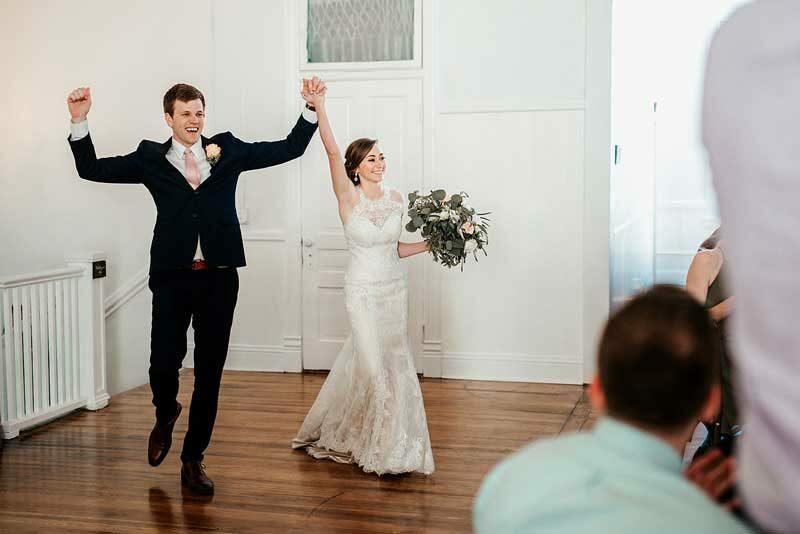 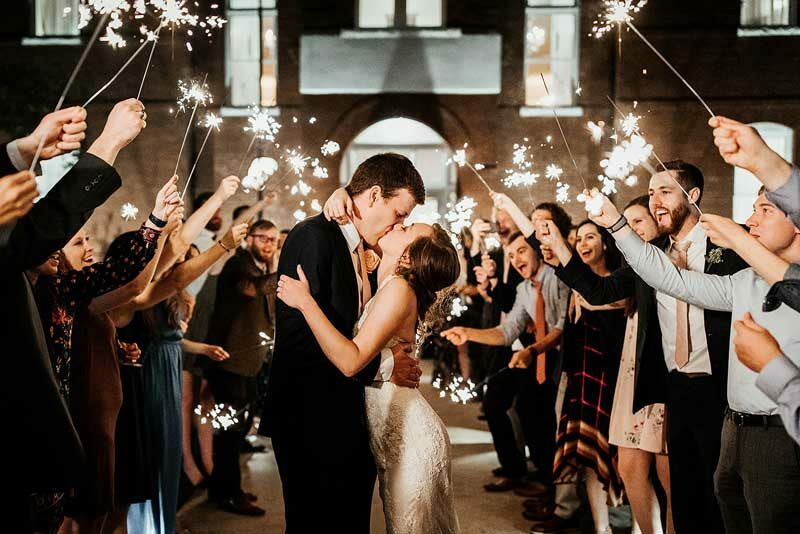 The dance floor was jam-packed all night long, and once the last song had been played, Taylor and Eric ended the night with a sparkler exit to a sporty getaway ride.